The Retreat is suitable for a range of projects from a spa or hydrotherapy pool cover to a tea room or community project. 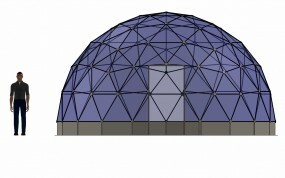 This dome creates perfect synergy between people and plants and is tall enough to accommodate palm trees or fruit trees. It generally does not require planning permission.